Due to its extraordinary features such as large surface area, high electrical conductivity, chemical stability and mechanical properties, graphene attracts great interest in various fields of biomedical sciences including biosensors, cancer therapy, diagnosis and regenerative medicine. The use of graphene-based materials has been of great interest for the design of scaffolds that can promote neural tissue regeneration. 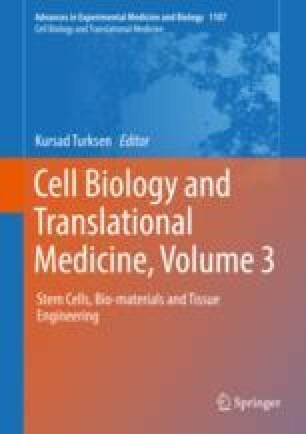 Recent studies published over the last few years clearly show that graphene and graphene based materials promote adhesion, proliferation and differentiation of various cells including embryonic stem cells (ESC), neural stem cells (NSC), mesenchymal stem cells (MSC) and induced pluripotent stem cells (iPSC). Therefore graphene based materials are one of the promising nanoplatforms in regenerative medicine for neural tissue injury. With its unique topographic and chemical properties, graphene is used as a scaffold that could provide a bridge between regenerating nerves. More importantly, as a conductive substrate, graphene allows the continuation of electrical conduction between damaged nerve ends. The integration of supportive cells such as glial, neural precursor or stem cells in such a scaffold shows higher regeneration when compared to currently used neural autografts and nerve conduits. This review discusses the details of such studies involving graphene based materials with a special interest on neural stem cells, mesenchymal stem cells or pluripotent stem cells. AY, HT and CG acknowledge support by the Scientific and Technological Research Council of Turkey and FlagEra Graphene Project G-IMMUNOMICS (TUBITAK, grant number 315S202).